The infographic below shows industry data as collated in August, 2016. Total bicycle sales have grown from 15.3M in 1992 to 20.2M in 2015. 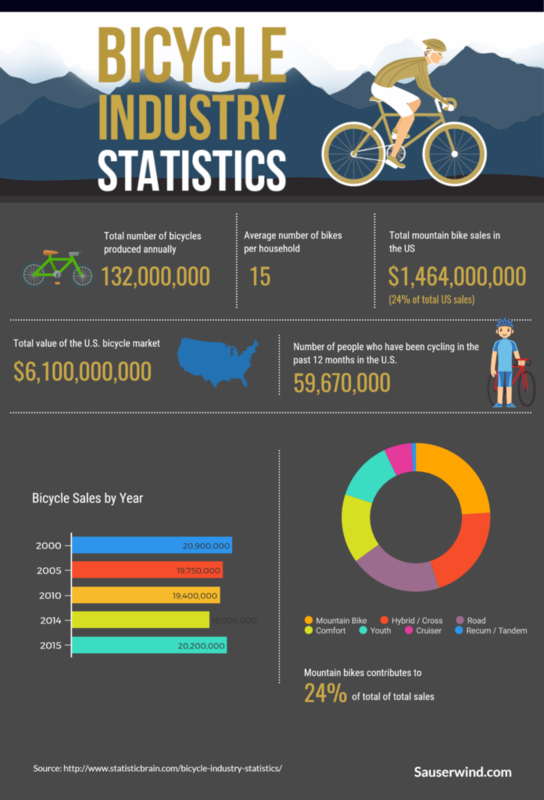 Mountain bikes make up 24% of the total sales. 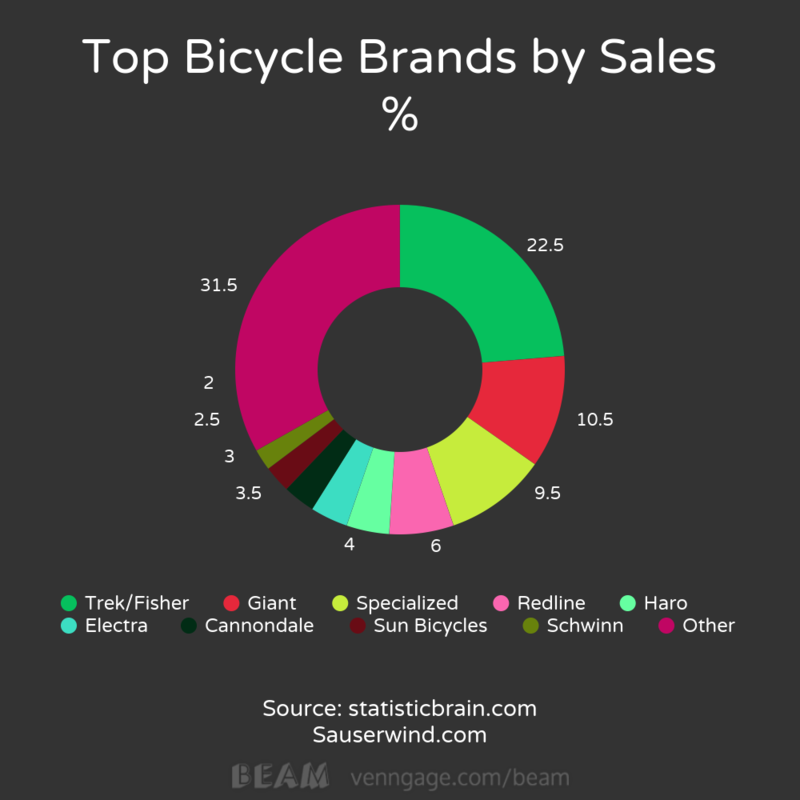 Google trends show that Trek is currently the most search bike brand.